It is no stretch of the imagination to say that we LOVE Mexican food. I could eat it every week and it would not get old. I craved so much Mexican food while I was pregnant with both of my girls. When I was dealing with Gestational Diabetes, I had to be very careful of not indulging in the rice, beans, and tortillas. 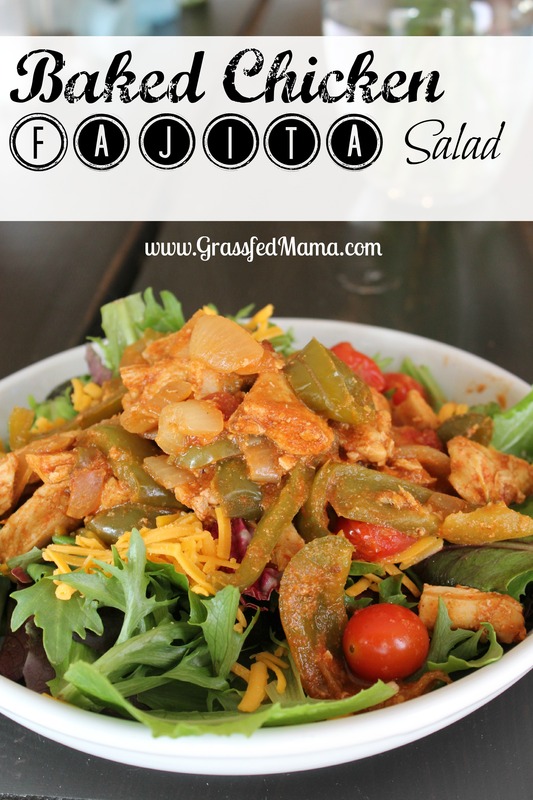 These Easy Baked Chicken Fajita Salads became a staple meal for us. I saw several recipes floating around Pinterest before I decided to make it myself and tweak it into my own recipe. These are quite healthy too. Garlic and Cayenne are wonderful spices for your health and help you detox. 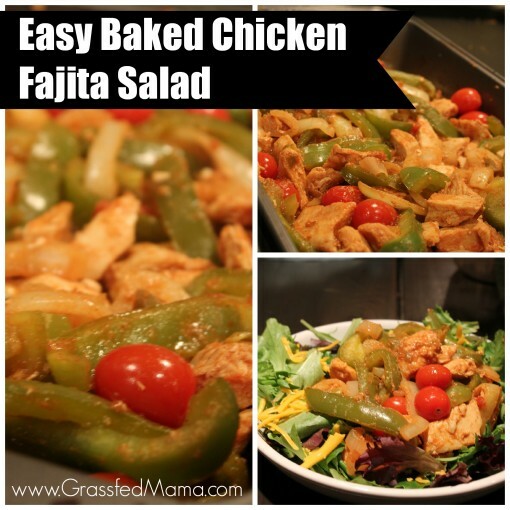 Easy Baked Chicken Fajitas are the perfect meal for throwing in the pan and it being no fuss. I am all about easy and simple recipes that are easy clean up as well. You can have dinner ready in 30 minutes. What more could you want? You also get a good helping of fresh, tasty vegetables that are full of flavor and vitamins for your family. 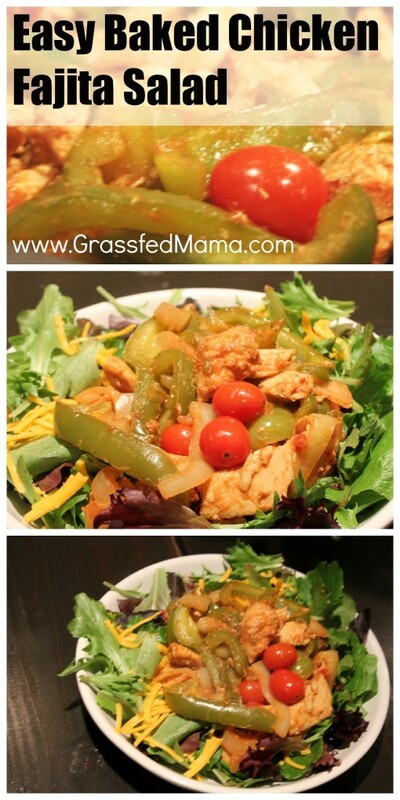 Here is an easy Baked Chicken Fajita Salad to satisfy you for a healthy dinner that is low carb. Mix all the ingredients together for the chicken and place in 9x13 inch pan. Bake for 30 minutes (or until chicken is cooked and onions are translucent). Stirring 2x during cooking. Build your salad with greens, cheese, extra toppings of your choice. Add about a tablespoon of lemon juice to the chicken fajitas when they come out of the oven. Place cooked baked chicken fajita mixture on top of salad.